The Kinsmen Sports Centre continues to upgrade amenities to better meet the needs of all users, including high-performance sporting groups and individual fitness enthusiasts. 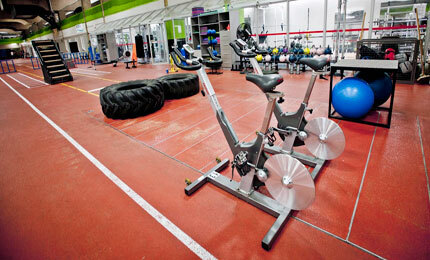 Includes traditional weight training machines and Olympic lifting weights and platforms. Includes TRX suspension training equipment to leverage gravity and bodyweight to perform hundreds of exercises. Developed by U.S. Navy Seals, this fitness form builds core stability, muscle strength, endurance and power. Includes state-of-the-art bikes, rowers, ellipticals, the Jacobs Ladder and treadmills, including the latest Woodway Curve Treadmill. Builds stamina and cardio strength. 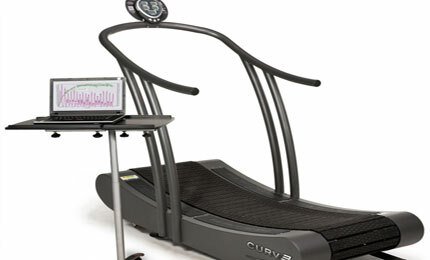 Includes a variety of state-of-the art equipment including exercise bikes with built in T.V and web access, ellipticals, rowers and weight machines. Interested in cycling through Spain, Italy, Hawaii or other beautiful landscapes? Experience instructor-led and individual virtual cycling experiences in the new Spin Studio. Along with upgrades to the field house cardio area equipment, we have provided additional cardio exercise equipment along the north wall of the upper track. These areas, called 'fitness nooks', were completed in April 2013.